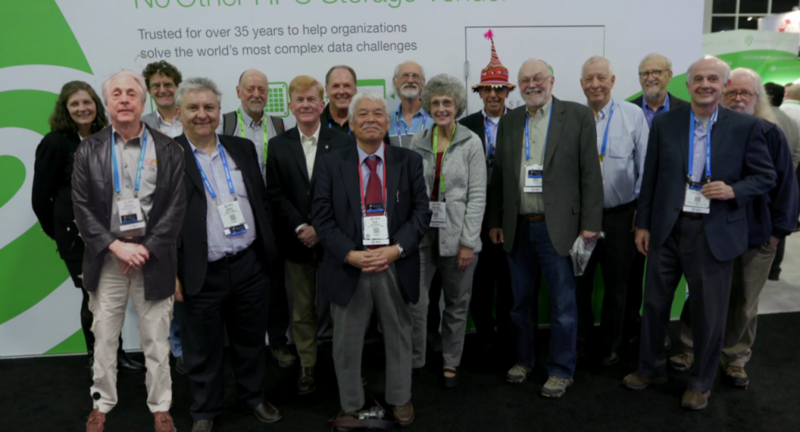 Perennials gather for a group photo at SC15. Someone once described the SC conferences to me as the keystone of HPC community relationships and networking. 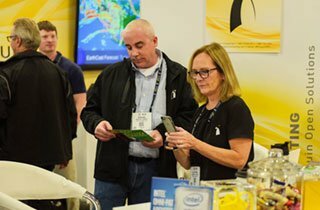 Each year since 1988, SC has been bringing together scientists, researchers, academics, government funding agents and policy makers, students, and vendors for one exciting week noted for an incredible technical program and world-class exhibition hall. This year is the official 30th anniversary of the SC conference, and for one small group of dedicated professionals, 2018 actually marks their 31st consecutive attendance at SC. That group is affectionately referred to as the SC Perennials. From meager beginnings with fewer than 1,500 attendees in an Orlando, Florida hotel ballroom, to this year’s event in Dallas, Texas (expected to attract 11,000 participants) the SC Perennials have weathered the test of time, demonstrating a solid commitment to HPC and an unwavering support for this amazing conference. 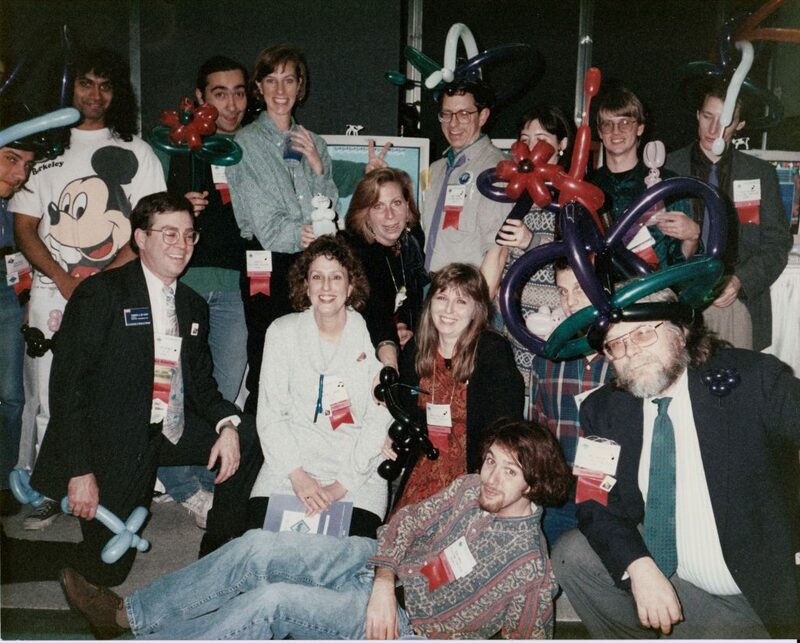 In this article, we’ll provide a snapshot of just who these 17 SC Perennials are, from their first exposure to the SC conference at Supercomputing ’88 to what they are doing today, along with a glimpse of some of their favorite SC memories. In 1988, Mike was with Multiflow Computer as a Manager of Marketing Communications. Today – He is a member of the communications staff at ORNL and manages communications and outreach for the U.S. Department of Energy’s Exascale Computing Project. In 1988, Bill was with Alliant Mini-Supercomputing/UltraNetwork Technologies. Today – He is Chairman and Vice President of Business Development at System Fabric Works. In 1988, Vito was leading the Benchmark Services group at Cray Research, Inc.
Today – Vito is enjoying a well-deserved retirement. In 1988, Jim worked at NCSA as a deputy director. Today – He is a Research Professor at Clemson University and a Presidential Fellow with Internet2. He also serves as a Principal Investigator on a grant with a team of HBCUs (Historically Black Colleges and Universities) to advance their cyberinfrastructure capabilities and a co-PI on a grant with AIHEC (American Indian Higher Education Consortium) to advance cyberinfrastructure capabilities in Tribal Colleges and Universities. SC Perennial Maxine Brown (in the white/silver sweater) with the UIC/EVL faculty, staff and students at SC93. In 1988, Maxine was with the University of Illinois at Chicago’s Electronic Visualization Laboratory. She was an SC’88 volunteer and hosted the Visualization Theater. In 1988, Jack was working at Argonne National Laboratory. Today – He is a professor at the University of Tennessee and Oak Ridge National Laboratory and heads the Innovative Computing Laboratory at the University of Tennessee. Jack is also a recipient of the IEEE Computer Society Sidney Fernbach Award. In 1988, John was at Sandia National Laboratories. Today – John is a professor in the school of computing at the National University of Singapore and a Visiting Scientist at Singapore’s Agency of Science, Technology, and Research (A*STAR). In 1988, Fred was the Associate Director for Computing in the Information Technology Laboratory at NIST. Today – Fred is retired from the DOE Office of Science where he was the program manager for computer science research in 2009. He then served several years as a senior consultant to the NNSA/ASC program and helped develop the justification and strategy for the Exascale Computing Project. In 1988, Anne Marie was working for the IEEE Computer Society. She was only one month in her new job at the Computer Society when her boss told her to travel to Florida to meet with George Michael and Steve Lundstrom to plan a new conference on supercomputing. (That was Supercomputing ’88). Today – Anne Marie is Associate Executive Director/Director of Governance for the IEEE Computer Society (one of the sponsors of the SC Conferences). In 1988, John worked for Pacific Sierra Research managing a group of developers/code optimizers. Today – he works in the CTO office at Cray, Inc. as the Director of Cray’s Supercomputing Center of Excellence. Development and a Ph.D. student in the Department of Computer Science at the University of Illinois, Urbana-Champaign. Today – He is a Professor in the Department of Computer and Information Science at the University of Oregon, and CEO and Director, ParaToools, Inc. Recently, Alan was appointed as the Director of the newly established Oregon Advanced Computing Institute for Science and Society (OACISS). 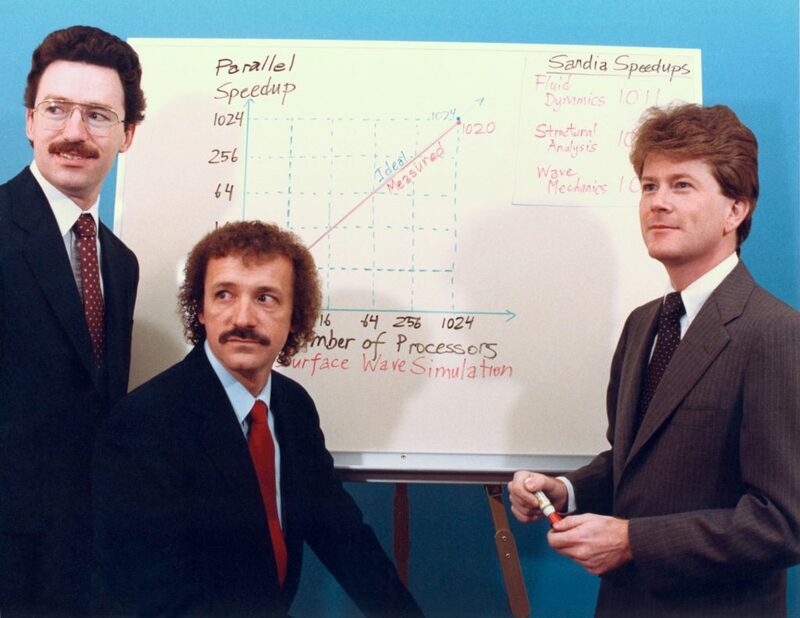 In 1988, Ken was a director of the Computational Research Division (CRD) at Fujitsu America Inc. in San Jose, developing new vector algorithms and conducting benchmarks for Fujitsu’s VP series supercomputer systems, and also supporting the technical team at Amdahl Corporation which was marketing the VP Series in the USA. Today – He is a Professor Emeritus at the National Institute of informatics, an Emeritus Fellow at Fujitsu Laboratories, and an Affiliate at Lawrence Berkeley National Laboratory. In 1988, Stephen worked at IBM in Special Programs Development in Kingston, NY, working on architectures and mathematical algorithms. Today – He is the Chief Architect for Future Systems at Los Alamos National Laboratory in the office of the Associate Director for Theory, Simulation, and Computing. In 1988, Ralph was a physics professor at the University of Pittsburgh and co-scientific Director of the Pittsburgh Supercomputing Center. Today – He is retired from the Pittsburgh Supercomputing Center and has taken on a half-time role at the University of Pittsburgh – where he is currently the Vice Chancellor for Research Computing. In 1988, Horst was working for CSC (Computer Sciences Corp.) at NASA Ames. Today – He is the Deputy Director for Research and Chief Research Officer at Lawrence Berkeley National Laboratory. Today – He is at the University of Michigan where he is a Professor of Computer Science and Engineering. SC Perennial Steve Wallach (yes, that’s Steve wearing a coat and tie!) presenting in 1990. Also note the state-of-the-art projection system. Today – He is with Micron Technology. Steve is a recipient of the prestigious IEEE Computer Society’s Seymour Cray Award. Thirty years means a lot of memories. 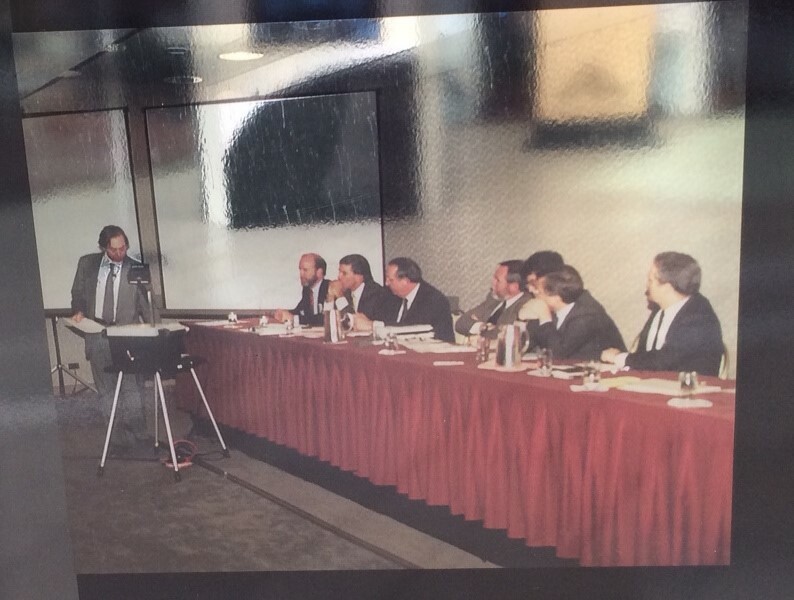 Among the favorite conference memories shared by the SC Perennials, the one memory that stands above all others is the keynote delivered in 1988 by Seymour Cray. For many of us, it was a career inflection point. Seymour was inspiring and his presence and keynote fueled an HPC passion that still exists for many of us today. 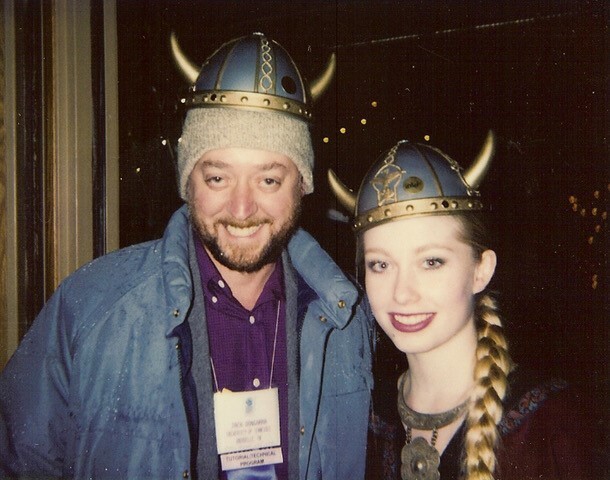 SC Perennial Jack Dongarra at Intel’s “Viking Village” Special Event in ’92. Jack Dongarra, John Gustafson, John Levesque, Allen Malony and several others can’t help but chuckle when they reminisce on Intel’s “Viking Village” social event at SC92 in Minneapolis (check back here for a fun recap of this memory in the near future). Just a few of Horst Simon’s favorite memories are presenting a tutorial and meeting Seymour Cray at Supercomputing ‘88 in Orlando; presenting the NAS Parallel Benchmarks together with David Bailey in 1992; and attending the Intel after-hours party at Prince’s night club; and in 1995, meeting Bill McCurdy and getting an offer to become a director at NERSC. Jim Bottum reflects on bringing faculty members to the SC conferences and seeing how it impacted many of their careers. John Gustafson recalls many fond memories, but one last year that stood out. He attended a session on the Gordon Bell prize and to his surprise found Alan Karp and Gordon Bell seated on the stage having a discussion that included the massively parallel computing work John had done with Gary Montry and Bob Benner at Sandia. 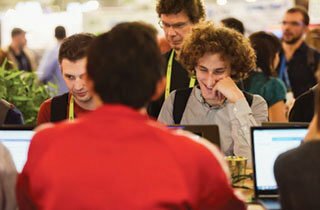 Vito Bongiorno has fond memories of that first conference in Orlando – representing Cray Research and having Seymour Cray as the first keynote speaker. 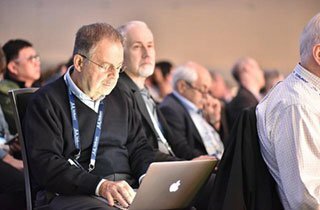 For Steve Wallach, it’s the various panels of CTO’s that were ground breaking in bridging the gap between scientific and business technologists for the SC conferences. Bill Boas recalls that in1990, Ray Elliott (General Chair of SC91) approved trying a network for SC91 in Albuquerque with no budget. In 1991 the first SCinet was created. IBM/MCI donated the 6th exchange “router” on the NSFnet backbone for WAN connections, and the exhibits had HIPPI, Ethernet, Sonet, and FibreChannel. According to Maxine Brown, one fond memory is the attendee enthusiasm for the CAVE™ Virtual Reality Theater, which was invented by the UIC Electronic Visualization Laboratory and premiered at SIGGRAPH 92. SC folks requested it for SC92 in Minneapolis, and then for SC93 in Portland…and again for SC95 in San Diego! Sign up for the blog and newsletter for additional future articles as we celebrate 30 years of SC over the upcoming weeks and months ahead.